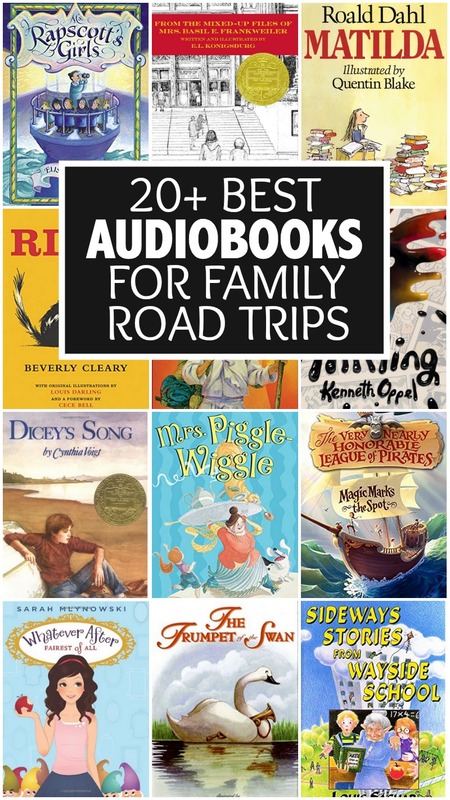 The season of family road trips must be upon us because I’m getting LOTS of emails and messages asking for recommendations for the best audiobooks for family road trips. Fortunately, I’ve been preparing for this post for years without even knowing it. If you’re headed out on a long trip, want to keep your kids from going nuts while you’re running errands around town, or need something to entertain them during quiet time, all of these are books you can’t miss with. This series was a complete lucky accident – Bart and I were heading on a road trip in our childless days and looking through the adult audiobooks and this one had been mis-shelved. Since it included the word “Bart,” my husband naturally picked it up and the trilogy became one of our all-time favorites. The story about a magician’s young apprentice who, hoping to get revenge on a magician who humiliated him, summons a djinni he cannot even BEGIN to really control, is gripping, the narration is INSANELY good, and I can’t wait to listen to it with our girls in the next year or two. The first book in the series is The Amulet of Samarkand. I’m pretty sure Ella has listened to this audiobook at least a half dozen times and it was one of my favorite books as a child. This one is a great one if your kids are a little younger, but still fun if they’re older too. This is one of Ella’s FAVORITE series, and although it’s not high-brow literature, it’s a fun series of fractured fairy tales. She’s listened to them ALL multiple times and I listened to the first one at her request. I had read part of this book but never finished it as a child. Listening to it as a family was a DELIGHT and I just loved every bit of this book about two siblings that run away from home and live, undetected, in the Metropolitan Museum of Art in New York City. I’m fairly sure at this point that Bart and I could recite the entire book from memory since Star listened to this on repeat all last spring. Beverly Clearly is a master and her audiobooks are just a delight. I didn’t read this series until I was an adult and I loved every second of this story about four children abandoned by their mother who walk hundreds of miles to find a home. They’re pretty long, so they’re great if you have hours and hours of time on the road. I think my girls are still a LITTLE young, but I can’t wait to listen together in another few years. We just listened to this book recently in the car and we all were super into it – it follows a young boy who lost his mom a few years earlier and he’s trying to keep life going somewhat normally despite the fact that his famous graphic-novelist dad has completely fallen apart. When a blob of ink from his dad’s sketchbook comes to life, things start to change for them all. Ms. Rapscott is a little bit of a Mary Poppins, running a boarding school tucked inside a lighthouse for children who have extremely busy parents. The children aren’t thrilled to be there at first (would you, if you arrived in a box? ), but they quickly learn that they are in for the adventure of a lifetime. This series is pretty recent (in the last ten years), but it has the feel of a classic and we all loved these stories about four sisters and their summer vacation. There’s a reason these books are BELOVED. This might be the most listened to series in our home. Ella has listened to them on CD and on the tablet dozens of times over the years and they just never get old with childhood bad habits (staying up too late, picky eating, etc) getting cured by Mrs. Piggle Wiggle’s inventive cures. 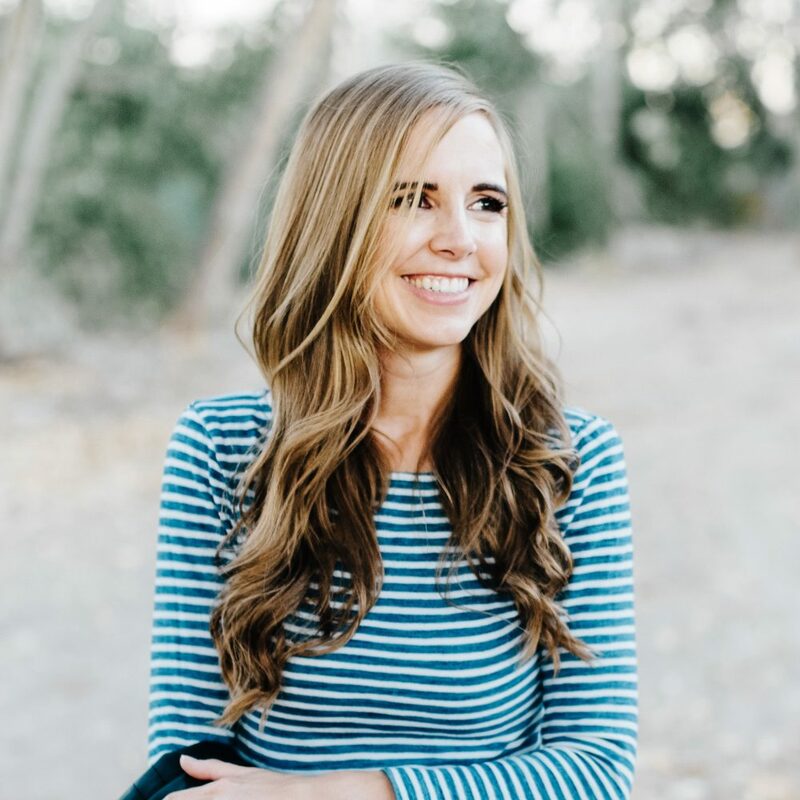 I would listen to Katherine Kellgren narrate a phone book (she’s the reader on both the Bloody Jack series and one of my all-time favorite audiobooks, My Lady Jane) and she’s no disappointment in this delightful series of books about a girl who longs to be a pirate but gets sent to finishing school instead. My girls have all listened to the audiobooks of this series on repeat for years. When we watched the movie, they kept saying, “This is not like the books!” Those are my girls. We checked one of these audiobooks out from the library when I was a child and we all fell asleep in the car, so my mom popped it in to listen on her own. She ended up laughing so much it woke me up in the backseat and we have all been fans since. There are a BUNCH of books in the series and you don’t need to listen to them in order. Both of my older girls have listened to these stories many many times on audio about Wayside School where everything is a little (okay, lot) weird. The chapters are more episodic so that’s nice if you’re starting and stopping a lot. Plus, there is also Wayside School Gets a Little Stranger (which isn’t on Audible) and Wayside School is Falling Down (which is). I think Roald Dahl’s books are just MADE for listening and I could have added many of his titles (right now, Star is obsessed with Fantastic Mr. Fox and has listened at least a dozen times since the beginning of the year). Matilda is one of my favorites, plus it’s narrated by Kate Winslet. 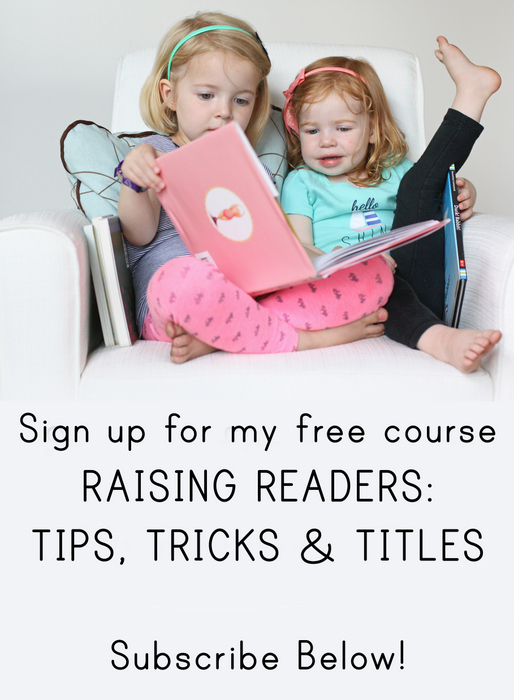 I hope your family will love these audiobooks as much as we have – if you have other recommendations or questions about using audiobooks with your children, leave a note in the comments! And if you’re new to Audible, you can get two free audiobooks. Prepare for your family road trips to get a LOT more fun. I’m not really an audiobook listener, but a couple of books that make good read alouds are Half Magic by Edward Eager and The Bill Peet stories, especially How Droofus the Dragon Lost His Head. Also, has Ella read Sideways Arithmetic? Sarah Mylnowski’s Upside Down Magic series is also fantastic to listen to. My son and I have loved it, and are anxiously awaiting the next release which isn’t until next fall. thanks for these suggestions, we are always looking for more books to listen to together in the car. I haven’t read or listened to all of these so I’m happy to add a few more to my Audible library. I don’t like to think about how much money we’ve spent there over the years. My oldest boys burn through credits so fast. I figure it’s not the worst addiction to have. Ha! Many worse problems to have for sure. Another great series by Jonathan Stroud is the Lockwood & Co books. Not for little kids that scare easily though, because some parts were so tense and creepy that even I was anxious! But so, so good. A series we just started on CD is the Sea of Trolls by Nancy Farmer. My boys ages 6-10 (the 3yo just goes along with it) love it. There’s enough Viking burp and fart jokes sprinkled throughout to make them laugh uproariously. It’s a fun intro into Norse mythology, Druidic magic and even some early Christianity. We haven’t gotten through all three books yet (book one was better than book two in my opinion) but The Sea of Trolls gets enthusiastic thumbs up from my boys. It’s also wonderfully narratated by an Irishman. So many good ones on this list! Another really fun series on audio (lovely British accents!) Is the Chrestomanci series by Diana Wynn Jones. Great for young Harry Potter fans – lot’s of fun magic, but none of the scary stuff. Absolutely the best audiobook all six of us in the family loved was How To Train Your Dragon read by David Tennant. I had absolutely no interest in the book based on the movie or book blurb, but the writing is actually very clever and Tennant’s cast of Vikings is incredible. I was going to suggest How to Train your Dragon as well! The movie is really roughly based on the book- they are pretty different from one another, but we love both! And the reader for the audiobook is really good. they are so clever and hilarious! We grew up listening to Cheaper by the Dozen on long road trips. So many good memories. I loved Mixed up files and Walk Two Moons. We just finished princess academy and the kids loved it (except for the music!) The Whatever After series has been fun but I prefer them to read those on their own. 😉 thanks for all the suggestions! Just listen to Chitty Chitty Bang Bang per your recommendation and the kids loved it and had the same reaction when they saw the movie. My favorite is Peter in the Starcatchers, I just love Jim Dale. Thanks for this list, it gives me a lot that I have never heard of. We just love audiobooks. In reference to your Katherine Kellgren comment I too could listen to anything she reads! So I have to respond and say don’t forget about her reading of Maryrose Wood’s delightful series The Incorrigible Children of Ashton Place. My daughter had already read the entire series twice but LOVES to listen to the audiobook. She will often mimic Ms. Kellgren’s Lady Constance. Please tell me you’ve heard of this series?!! I’ve heard of it but hadn’t read it! Now that I know she reads it, I’m all in! Oh I must add the whole Beverly Cleary series Ramona and Judy Blume’s series of Fudge books. We laughed and laughed at both. My kids clapped at the end of Penderwicks because the loved it so much!